A lightweight cold water high-pressure cleaner. Its compact, upright design complete with a variety of outstanding features including a unit mounted hose reel. 12 Months Warranty. 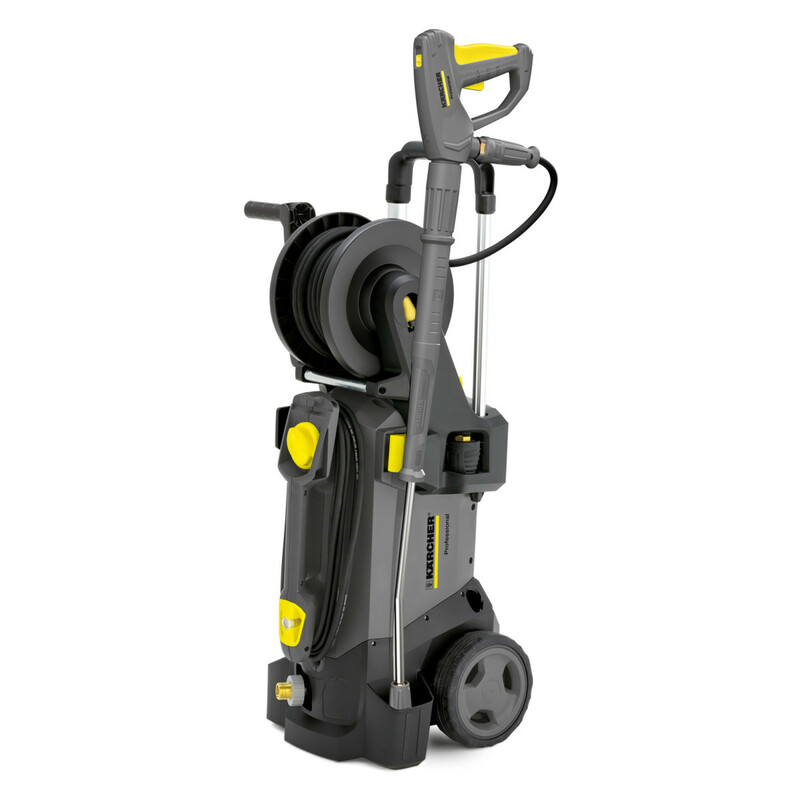 A compact pressure washer of a space-saving design & lightweight, this machine is convenient to use, maneuverable and versatile. Karcher have incorporated easy-press, ergonomically shaped, extended trigger gun & Servo control offering simple pressure/flow rate control. Triple nozzle included as standard equipment – suits every application, also Dirt blaster nozzle included for high cleaning power & area coverage. Karcher have included an adjustable pull-out handle which ensures compact transportation when not in use – when extended it can hold accessories during operation. By incorporating the 3-piston axial pump Karcher have ensured a long service life for this machine. The unit mounted hose reel keeps hose tidy & manageable during operation.